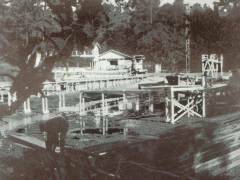 This site is dedicated to the the era when Lake Waukaway (later, Waukaway Springs) was open to the public and was enjoyed regularly by people from about a 40 mile radius, especially from Laurel to Meridian, in south central Mississippi. This site is owned, managed, and maintained by me, Judy Allen Wilson. My father, Howard Allen, operated Waukaway from the 30s through the 70s. In 1976 it was sold to Gene Garrick. It has now become a Christian Retreat Center. Their website, http://waukawaysprings.com, is devoted to this ministry. 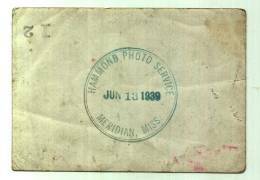 I have been a bit disappointed there haven’t been more pictures. But I do understand the problems with keeping up a website! This one is a good example. These pages are devoted to pictures, memories, articles, people, and nostalgia associated with Lake Waukaway, the years we owned it. 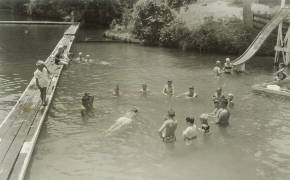 We will focus on the years it was known as Lake Waukaway (the 50s, 60s, and 70s) and try to recapture the feelings and the times associated with those years. I called Howard Allen “Daddy”, but for simplicity, I will refer to him as “Howard” in these pages, because that’s how everyone knew him. 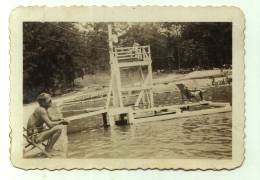 He married my mother, Marjorie Jennings, in 1939, and my parents, my brothers — Curtis and Mark, and I spent our summers for a couple of decades making Waukaway a place where people and especially families, could have “good, clean fun.” Howard was very safety conscious, and no one was allowed in the lake without a lifeguard on duty, and while this was in effect, there were no drownings or fatal accidents. 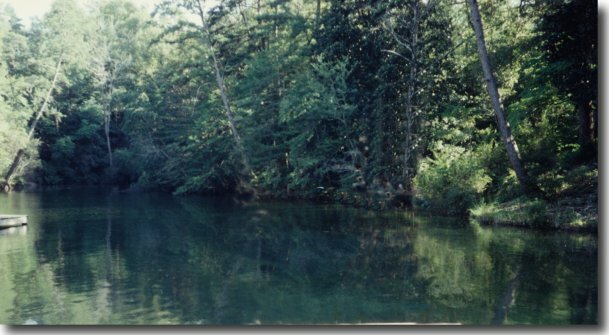 I was inspired to do this site when I ran across the great pages about Waukaway that Keith Wilkerson has on his Jasper County site For a lot of history, check it out. Also, occasionally my aunt, Henrietta Lee, who lived in Laurel, Miss, about 20 miles from Waukaway, will save me some article of nostalgia someone has written about Waukaway. I plan to include some of those here. We will begin with a few random pictures I happen to still have in my possession. 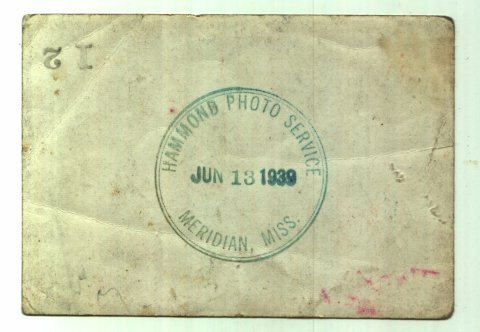 One of the first, on the left, is from June, 1939, as indicated by the stamp on the back of the picture, see image on the right. 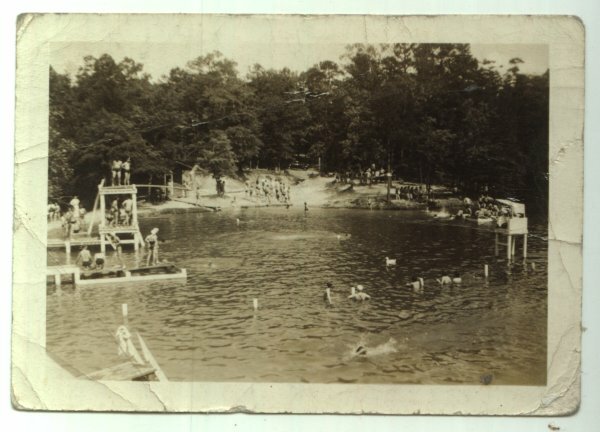 In the 50s there were 4-H camps from Alabama and church camps from as far away as Philadelphia, Miss. Swimming lessons were part of the agenda, and here is Howard (left) demonstrating the dead man’s float, showing how you will not sink when just relaxing on top of the water. In addition, classes in artificial respiration, now known as CPR, were provided on the grass across the lake. Every year, the lake was drained and cleaned (left). If there was a freeze on the bottom, it would help keep down the plant growth. In addition, for many years, work was done on the lake to improve the facility. On the right, from 1945, Howard is watching the water, meaning lifeguarding. You can see the addition of a light and docks since the 1939 image above. 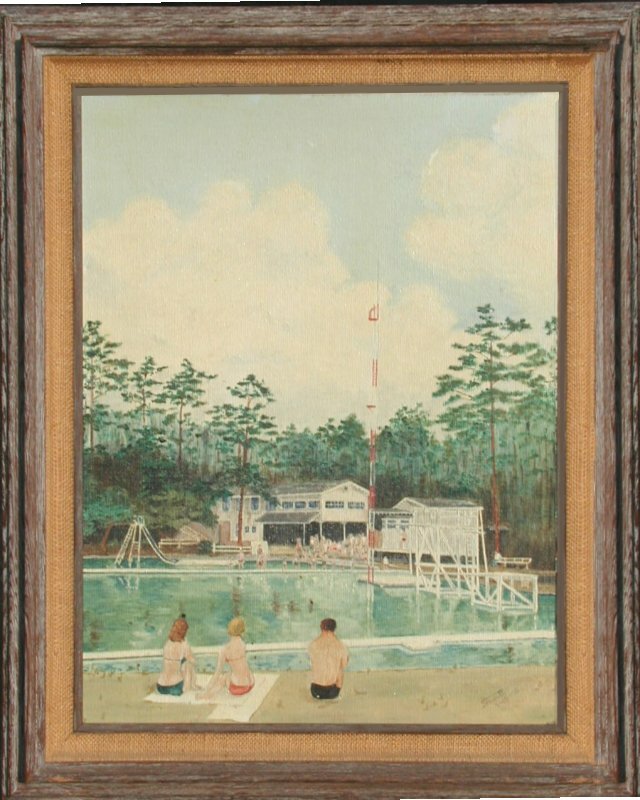 This is a painting of Waukaway done in the 1970s. It is the Waukaway that I, and many others remember and love. You can see the sunbathers on the sand beach, the shallow water protected by docks on each side, the diving boards, both high and low, and the exhibition tower. Also you can see the concession stand downstairs, and our home upstairs, where we lived year round. We swam from April, as soon as the lake was filled, until about October, depending on the first cold spell. 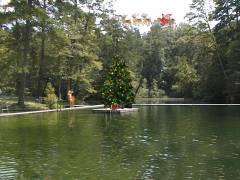 For many years, Howard would take a tree in a boat and put it on the raft in the lake. Large colored light bulbs adorned the tree, and he painted plywood to look like presents. It was a beautiful sight at night, and people drove from neigboring towns and cities to enjoy it. I do not have a picture as it was, but I have made one that I use for my wallpaper on my computer at Christmas time. It does bring back fond memories. 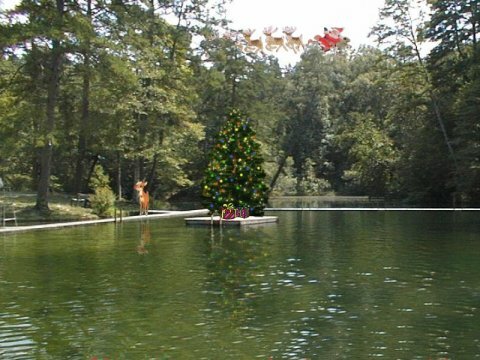 Oh, and during the holiday season, for years, Howard would go swimming at midnight, so he would be the last person in the lake in the old year and the first person in the lake in the new year. He usually did it alone … it was cold!
. I will add more when I can make time, or when I’m hit with a big spell of nostalgia. Printed from https://lakewaukaway.com — Lake Waukaway Home.